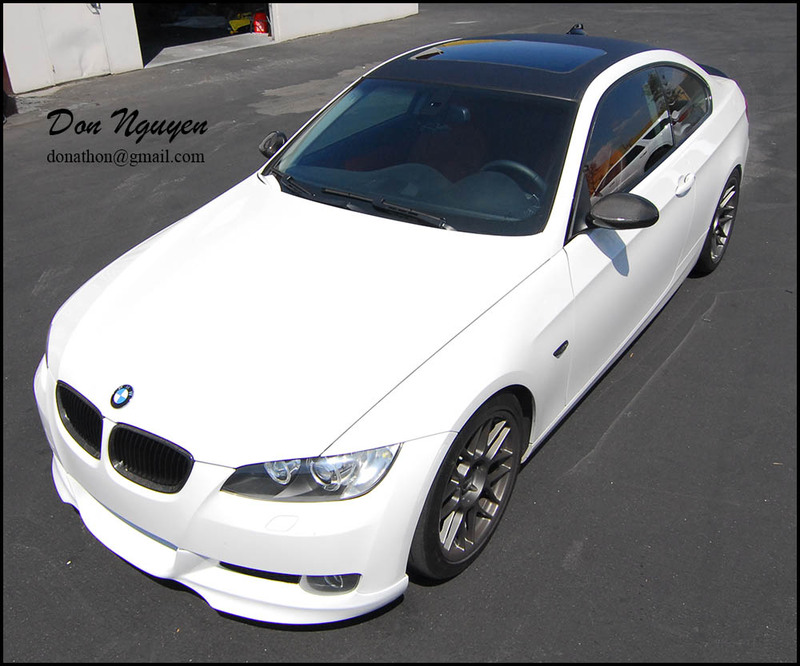 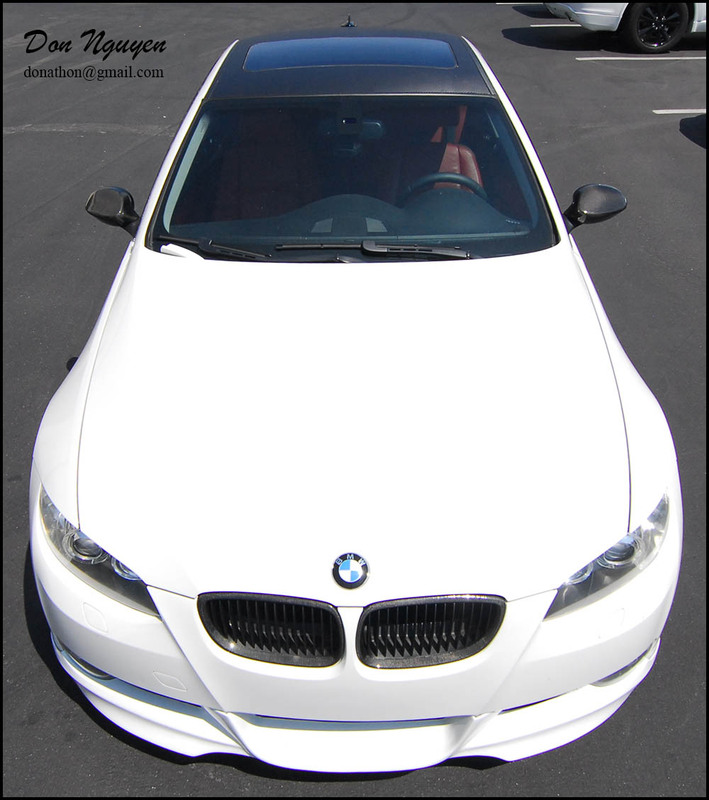 On this white BMW 328i E92 coupe, I vinyl wrapped the roof of the car with the 3M dinoc matte carbon fiber finish for the roof. 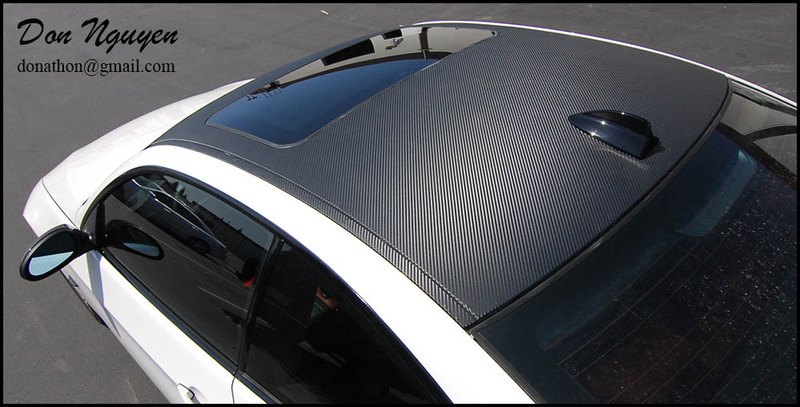 The mirrors on the car are real carbon fiber mirror caps, for those who want to see how the 3M dinoc material contrasts with other real carbon fiber accents on the car. 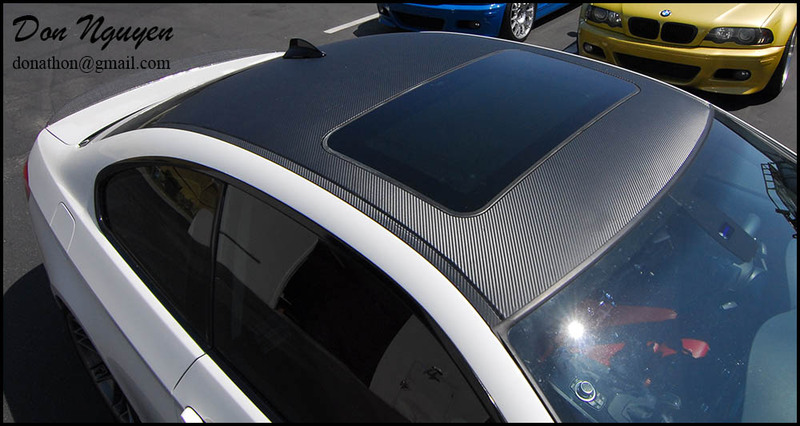 We also went with a gloss black antenna for the roof, similar to how the E90/E92 M3 antennas are with the real carbon roofs. 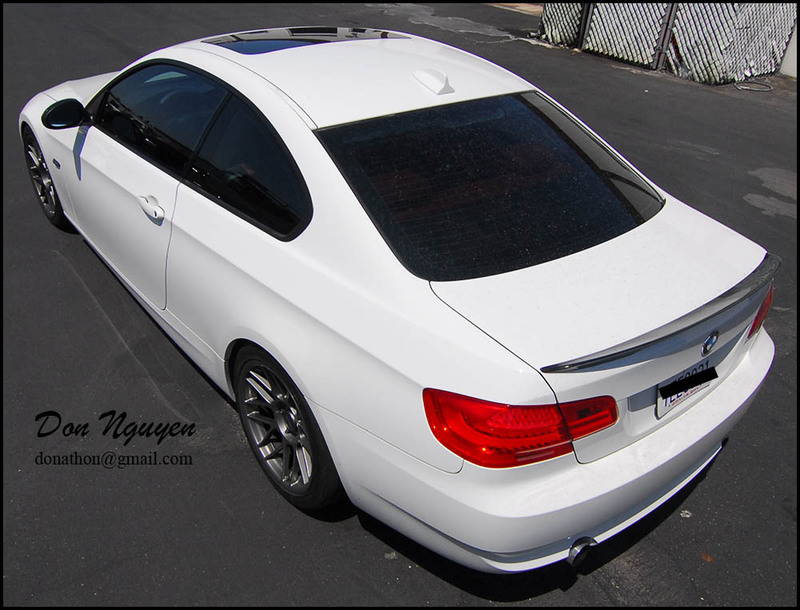 The owner of this car came out to me in Anaheim Hills/Orange County to have the vinyl wrap work done.